Social Employee Advocacy Works, but How Do You Get Started? 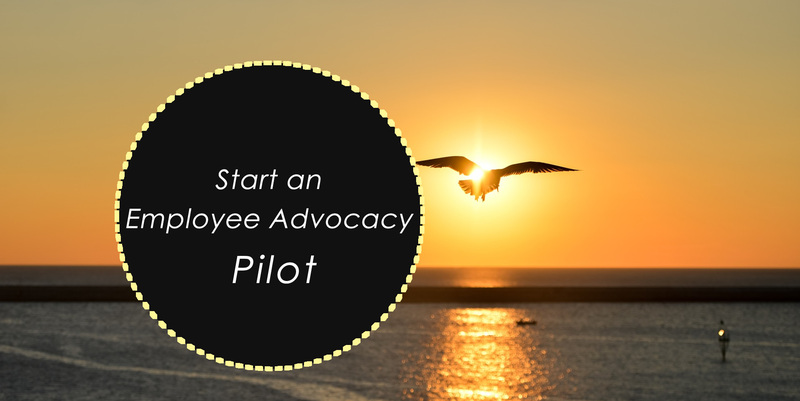 Do you have a social employee advocacy program in place at your organization? According to recent data from Altimeter, 90 percent of organizations are either working to build an employee advocacy program, or they already have one. There’s no questioning it: social employee advocacy works. But even with broad buy-in across industries, many organizations are struggling with how to get started. The answer? Start a pilot program! Building a social employee pilot program has many benefits. First, it allows you to identify and learn from the social butterflies already present in your organization. Further, it helps you establish some much-needed groundwork, such as what your company social media policy should look like—and who should be in charge of it. Finally, it provides a controlled environment for experimentation so employees can hone their skills and learn from the metrics driving their efforts. To help organizations of all sizes learn to build a social employee advocacy program that works, we’ve teamed up with Lynda.com, a LinkedIn company, to bring you “Social Employees: The New Marketing Channel.” This 22-part video tutorial course will take you through the ins and outs of employee advocacy—from establishing a healthy social culture to securing buy-in from the C-Suite.